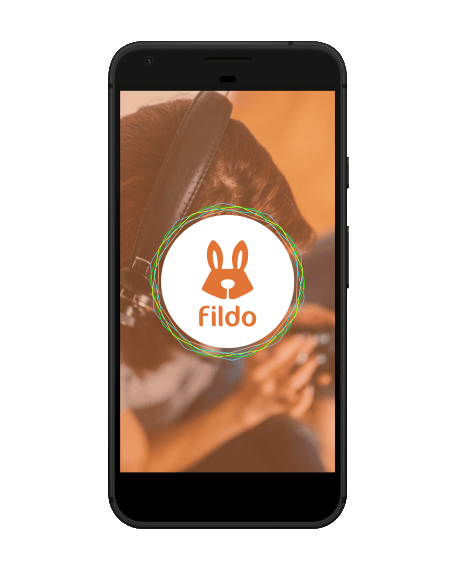 Fildo is an Android application which allow listen audios in your android mobile! Fildo does not host any audio files, itâ€™s just an interface to third party mp3 search engines. Please dont ask about add/upload anything. If you have a copyright infringement complaint you can contact whichever of the following companies the suspected infringement. 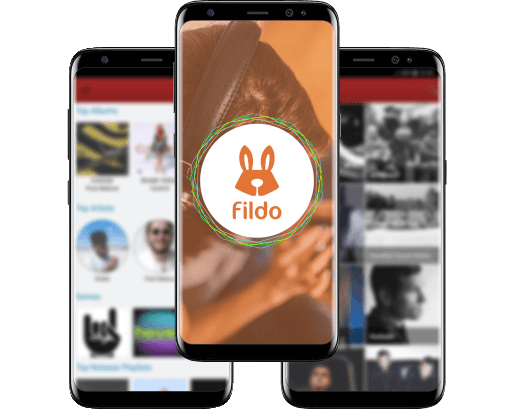 Fildo app is an audio streaming application that lets you stream top-quality audios from around the world. 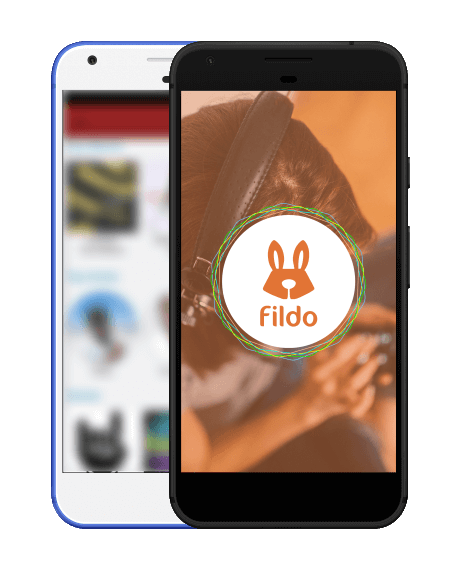 There is one thing that makes Fildo app different from the other such apps out there. Fildo doesnâ€™t have its own collection of audio files, but brings it from various sources at one place. Fildo in other platformsFlite iOS and Windows! We also released Fildo Lite (Flite) Radio for Windows 10, Xbox One and Windows 10 Mobile and we are working on Fildo Lite iOS version! You cannot download Fildo from play store as it isnâ€™t available on it. But, that should not concern you. You can download it here. Follow us to get lastest news. Average user rating: 4.26 with 41619 votes. Fixed implementation for Android 9. Improved search (return to the previous system once we've fixed the bugs that came up in December). Improved the listings of albums in artist view, now appear before the news (deleted cache). Allows dynamic configurations to avoid blockages when obtaining results. Basically we're trying to minimize the effect of the attacks we've been receiving recently. Search engine fixed and improved, this means less "Not available in your country". Downloader will found more 320 audios. Fixed cover image on downloads. Fixed downloader, files with "(" or ")" in name doesnt download ever. App fixed because it had stopped working completely, we apologize for any inconvenience caused. Improved the downloads (now if you select 320 bitrate, more audios will be on 320bitrate). Improved fallback search engines (this means less "this audio is not available in your country). Added again the autocomplete in the searches. Added go to artist on songs. Fixed navigation back to results, now search results will be keeped. The magnifying glass in the search field is clickable so that users have fewer problems (you can send them on the keyboard or the magnifying glass). Yes!! v3.0.0 has been released. A lot of improvements, fix and a new small redesign. Fixed download audio speed and issues. Added message GPDR for European citizens. Fixed download and streaming errors. Now more audios will be available on 320. Fixed FC when enter on player view. Reload last played queue when open Fildo again. Fixed downloads on 128kb, now will download on 320 when available if you selected it. Added new fallback search engines, now the reproductions should be more fluid. Fixed bug that makes it impossible to play any audio. Fixed fallback search engine integration, now less errors on streaming or download. Fixed bug on play offline songs (songs with wifilock icon, which should be played from local are played from internet). Fixed main search engine integration, now less audios will fail. Fixed exit Fildo from menu when you have selected other language than English. After 3 days of hard work, we have solved the problem of the black screen that some users had. Thanks to the user John Milonas for helping us to solve it. Fixed minor bugs (2.9.1) rest of changelog is 2.9.0. Changed how alerts are displayed to better experience. Fix playlists of the main view only show one result. Fix list from main view. Fixed minor bug with header images. Fixed problem with too long titles. Fixed error on fallback search engine which always return 128 bitrate ignoring if user selected higher bitrate (Bug found by J-C). Fixed error when do some searchs make that Fildo closes (Bug found by @ynotonline). First, we apologize for releasing 2 versions in such a short time, but new fallback method is mandatory. Added new fallback method, now less results will be incorrect or return error. Added full French translation by leakcim56, thank you so much. Fixed bug with load some images which ends withh force close Fildo.